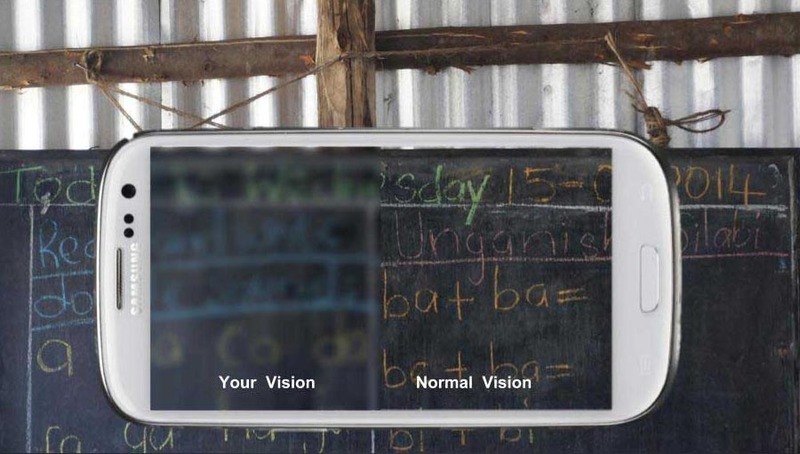 Screening schoolchildren’s eyesight using the world’s first clinically-tested smartphone vision check app has more than doubled the proportion of children attending follow-up appointments in a trial comparing it to conventional screening, according to new research published in The Lancet Global Health. The Peek school eye health system is an integrated smartphone screening system which includes the Peek Acuity vision check app, a simulation tool showing a visual comparison of the child’s sight to clear vision (which can be printed on a postcard for parents and carers to remind them that their child needs treatment), and text message reminders to parents in the local language. The study, led by the International Centre for Eye Health at the London School of Hygiene & Tropical Medicine, was carried out in a partnership with the Kenyan Ministry of Health among more than 20,000 children in 50 schools in Trans Nzoia County, Kenya. In this trial, participating schools were randomly allocated to receive either Peek school eye health or standard screening using conventional paper eye charts. If the vision check identified a visual impairment, the child was shown their simulated sight on the smartphone and given a print-out of this image with details of their appointment to take home to their parent or carer, who also received text message reminders about their appointment. In the standard group, schoolchildren referred after the standard paper-based vision test received a written hospital referral letter. In both arms of the trial, specially-trained teachers carried out the screening. More than half (54%, 285 out of 531) of the Peek school eye health recipients who were referred for follow-up attended the appointment compared with 22% (82 out of 366) of those in the standard arm of the trial.